For the past twenty years, Heidi Jung’s work has been featured at some of the most coveted gallery walls in Colorado. She’s been seen at Ironton Studios (3636 Chestnut Pl.) 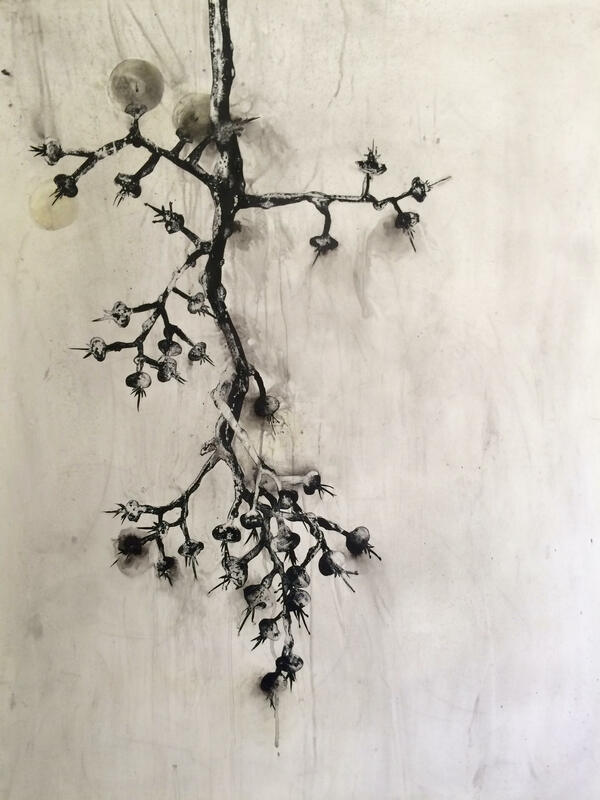 located in the RiNo arts district, and you can currently catch her work at Michael Warren Contemporary (760 Santa Fe Dr.) and the Denver BotanicGardens (1007 York St.). Her interest in art began with photography, but over the years she branched out from capturing images with a camera to create her own visionary scenes from scratch. 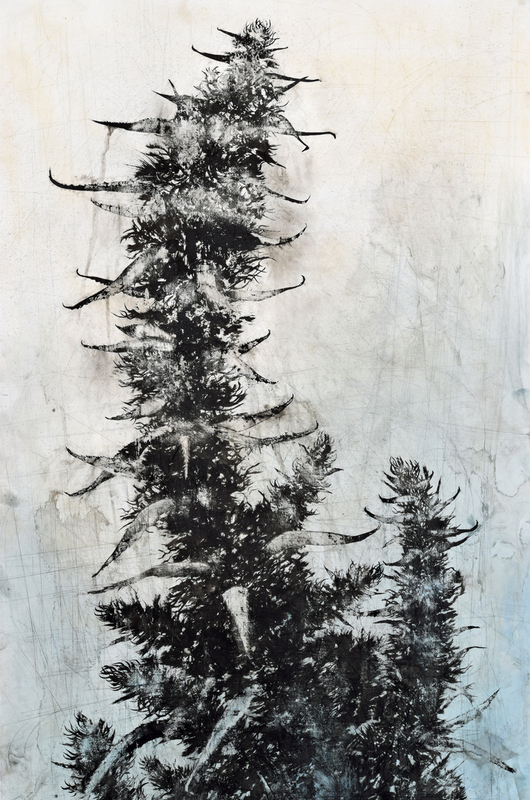 Today, Jung’s art primarily employs Sumi ink and charcoal on Mylar. These tools evolve her medium into an image that fuses the subtler aspects of European impressionism with Japanese watercolors–although neither genre truly describes her work. Having been at the center of northern Colorado’s art scene for two decades, Jung has seen local trends come and go. For as long as she can remember, she recalls Denver being an area of eclectic art tastes, where a variety of styles and approaches touched on but never indulged in a single trend. And although the verdict is still out, scientifically speaking, as to whether cannabis can trigger creativity, Jung has commemorated our state’s legalization efforts with her particular brand of minimal-yet-enticing visualization. She describes herself as a “big fan of the movement to fully end the prohibition of cannabis,” and where better place to fan-girl such efforts than right here in the Denver area? 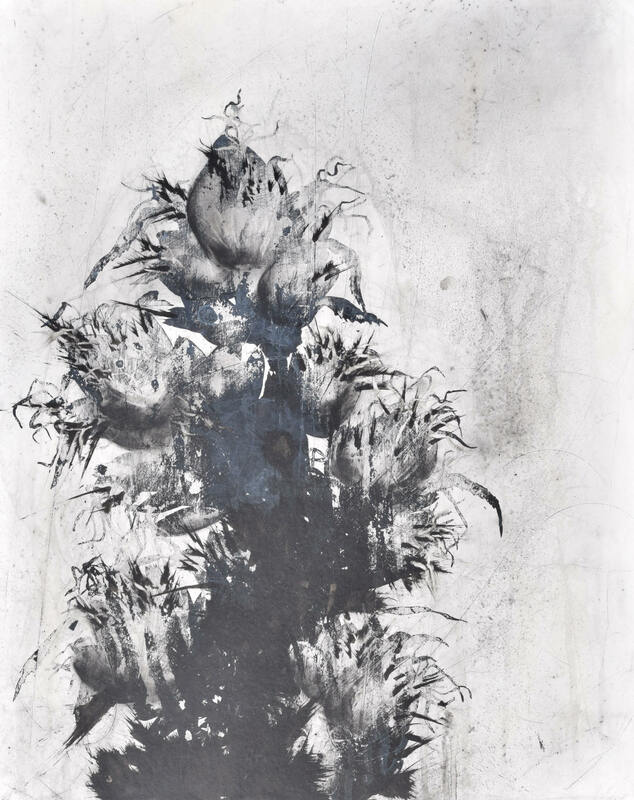 Jung's exhibit at the Denver Botanic Gardens will be on display at the Gates Garden Court Gallery until Nov. 6.